Jack Bannon is Pennyworth in Pennyworth. There’s a good chance, up until this point, you could have thought the news that Batman’s butler was getting his very own origin-story spy show was some elaborate joke. However, if that’s the case, the joke’s now on you, because Epix just released a teaser for that exact show: Pennyworth. It’s not a teaser trailer, though. More like a teaser for a trailer because it’s less than 20 seconds long, but in that time you get a sense of what this show is—and are reminded time and time again of Alfred’s nationality (British, just in case you somehow miss it). We can finally say for a fact, yes, this show actually exists. Jack Bannon plays the title character in Pennyworth, “a former British SAS soldier in his 20s, who forms a security company and goes to work with a young billionaire Thomas Wayne (Ben Aldridge), who’s not yet Bruce’s father, in 1960s London,” according to the press release. That, in turn, informed Heller’s vision of Alfred on Gotham, which he also created. It’s not been stated that Pennyworth is a direct prequel to Gotham (which is ending this year), but it very well could be. I mean, that kind of sounds good, right? Who knows. 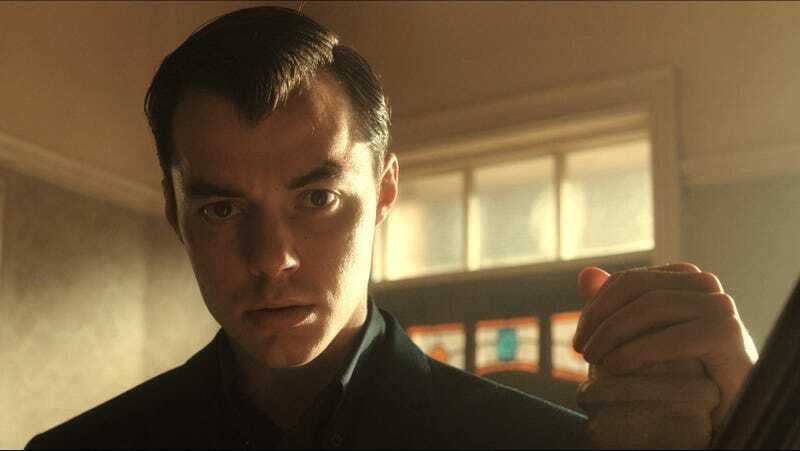 We’ll find out when the 10-episode Pennyworth premieres on Epix this summer.